Equipped with a Vaucher automatic movement. 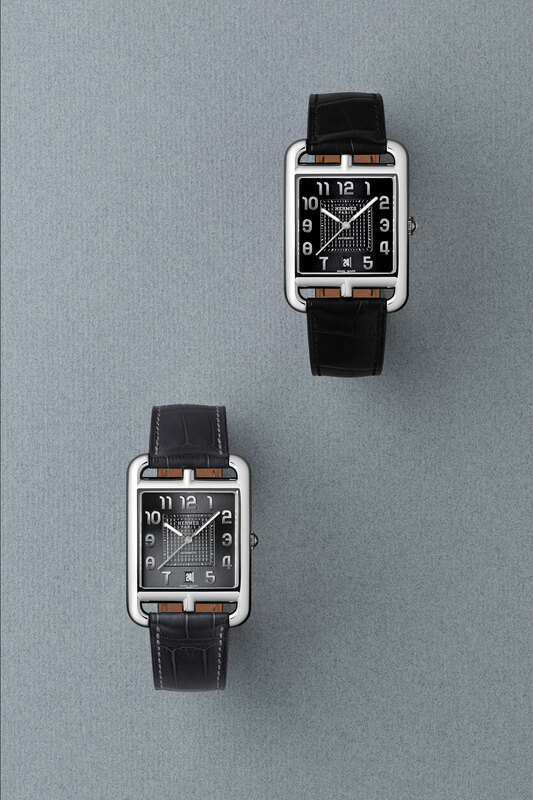 Conceived as a circle inside a square, the Hermès Cape Cod TGM – short for très grand modèle, or “very large model” – features the automatic H1912 made by movement specialist Vaucher. The key characteristic distinguishing the H1912-equipped calibre from the quartz models is the dial: the former has a stamped chequerboard decoration in the centre with the date at six, while the quartz versions have a radial brushed finish. 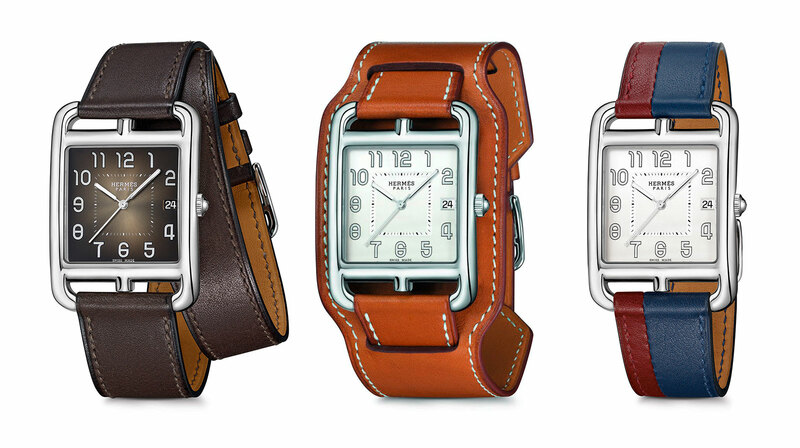 The square case is 33mm by 33mm, with elongated, curved lugs inspired by a horse bit. The Cape Cod TGM Manufacture is available with dials in black, white, grey or blue. The H1912 is a variant of the Vaucher VMF 3000, a compact, 10 1/2″ movement intended mainly for ladies’ watch, but well suited to the square form of the Cape Cod. 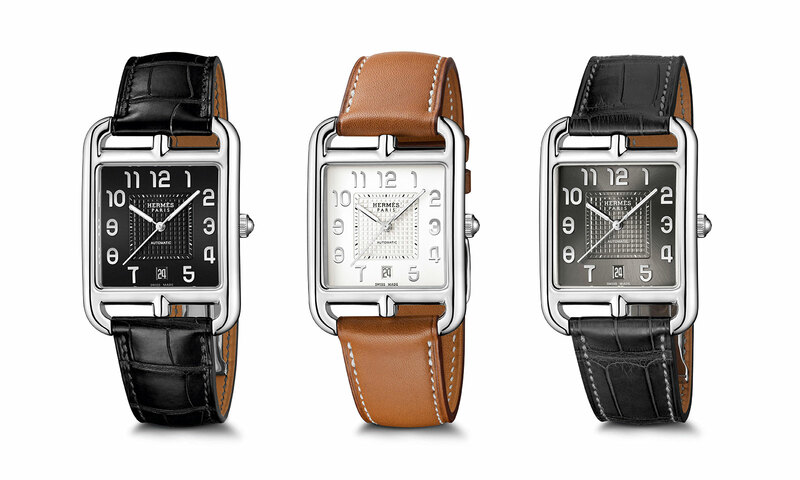 Majority owned by high-end watchmaker Parmigiani, Vaucher is also a quarter owned by Hermès, which has invested heavily in beefing up its watchmaking capabilities in the last decade. Respected for its high quality movements, Vaucher is the same outfit that supplies most of Richard Mille’s automatic movements. 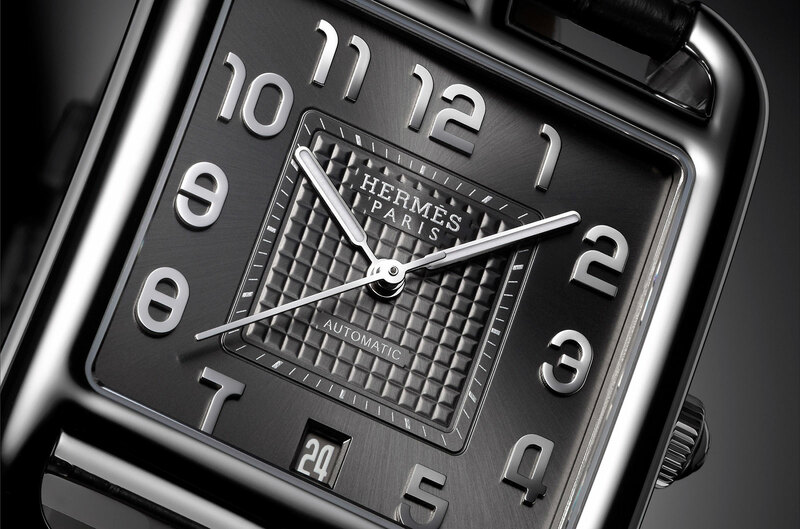 At the same time, Hermes also announced new versions of the quartz Cape Cod TGM, which is sized the same at 33mm by 33mm. These include the Cape Cod TGM Cadran laque with a metallic finish dial in brown or red, the Cape Cod TGM Bracelet de force that’s mounted on a leather strap with a band beneath the watch, and the Cape Cod TGM Bicolore with two-tone leather straps. 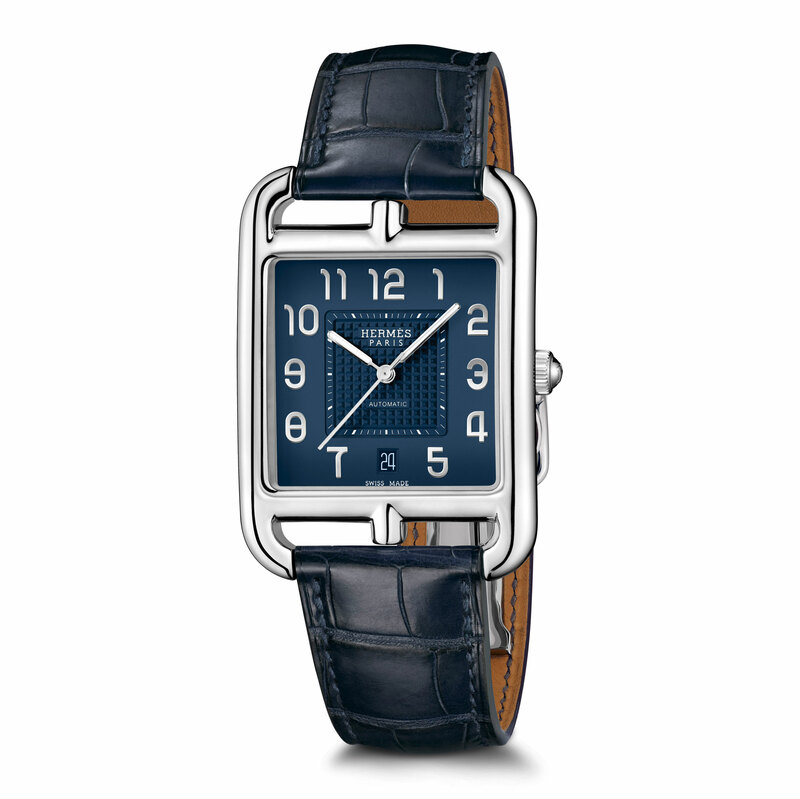 The Cape Cod TGM Manufacture starts at US$5950 on a Barenia calfskin strap and US$6200 on an alligator strap. That’s about 10% more than the retail for the same model with an ETA movement. The quartz models start at US$3175.